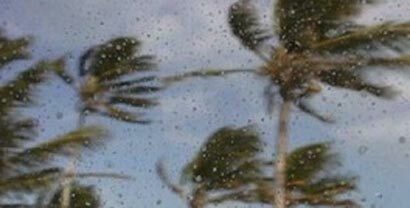 The death toll in the gale that hit the southern coastal belt has risen to 12 including eight fishermen, and four others who died due to falling trees and other objects. Five fishing boats have been destroyed and 12 others are reported missing. The winds are blowing in the south. Is it signalling bad tidings to the rulers? With the LLRC report due in Parliament (or is it the fish market??) in a week’s time and some counting the dead two and half years after the end of the genocidal war, is a tsunami on the way to drive the terrorits in power away? සුනාමි මුඩිංචි by which destroyed the tamil terrorism…! DC is a false prophet who has ‘prophecised’ so many times the imminent ‘arrest’ of MR and his bro GR on trumped-up charges of War Crimes and Crimes against Humanity. The diaspora Tamil/LTTE machine worked overtime to have him arrested when he attended inter-governmental meetings in the West, as Head of State. The koti machine spent vast amounts of money on lawyers to do their dirty work of issuing an arrest warrant through some little known magistrate somewhere. All their efforts came to zilch! Our Hon President and his team walked in and walked out unflinchingly. As Head of State he is immune from prosecution in any country. The lawyers representing the diaspora Tamils/LTTE nicely pocketed the millions spent on them as fees. The poor stupid diaspora Tamils are fleeced by their leaders for more and more money every week for themselves to live in the lap of luxury, while offering these diaspora Tamil idiots the carrot of an ‘eelam’ State in SL one day. Dream on you poor suckers! DC, I await the fulfilment of your next prophecy. What a laugh! Yes Mr Dias, He is immune from prosecution in foreign lands. At home. he is protected by drug runners, IRC’s and the like and also is above the law being the Maharajajini. But every citizen of World is open and vulnerable to natural justice. And that’s what our failure is; to assume that we are safe despite our cruelty. The winds are blowing a tsunami, Mr Dias, there’s no way one can escape its wrath. Gale force winds and even hurricanes do not cause tsunamis. Tsunamis are caused by undersea earthquakes on Richter Scale 7.5 and above. This is a geological fact. A tsunami wave is massive, 50 feet or more in height. It moves miles inland causing massive destruction in its wake. In any country, the Judiciary should be totally independent. Only the President is immune from prosecution only during his/her term of office. His kith and kin, friends and all the other citizens are not immune from prosecution. That is the law by constitution. I strongly criticised MR and GR for protecting kudu-D from murder and many serious crimes. I strongly criticised leaders of the country for being tainted with association with the underworld and even supporting them on the ladder to political power leading to corruption of the government, like a virus/cancer. This leads to utter destruction of a country when there is no law and order. Italy and Columbia were once ruled by such mafioso. We should never allow it to happen in SL. In the absence of a strong and patriotic opposition, it is for us citizens to criticise and correct the government of the day, for the good of the nation. Don’t forget VP was an evil man who had little education with no knowledge of good governance. All he knew was bomb making from the time he blew up the toilets of his school and killing, when he killed his school principal for expelling him from school. He was the biggest gangster, involved in murder, robbery, prostitution, gun-running, drug dealing, fraud, human trafficking etc etc. I support Hon President for total eradication of the LTTE from our country. I support him for his main policies of unification of the country, infra-structure building and development of the economy on fast track. We should be ever grateful to him for all these. When the imperial West is struggling to cope with recession caused by their capitalism, with massive unemployment, poverty and homelessness, colapse of their tertiary education system, economy etc., we are doing very well in all these fields, acknowledged by the West itself, thanks to the correct policies of Mahinda Chintanaya Idiri Dekma.